Amid growing discontent over the rising number of civilian deaths in Afghanistan, a US-led airstrike has resulted in the death of four more civilians the country. Local witnesses say at least four people, including an Afghan child, were killed in the US-led airstrike in the central province of Wardak. 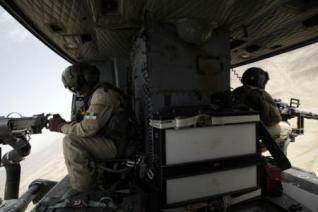 The incident comes as two Afghan students were killed at the hands of American troops on Saturday in the region. Afghan military daily news have repeatedly demanded a halt to the attacks. Civilian casualties caused by NATO attacks have been a major source of tension between Afghan President Hamid Karzai and the US-led foreign forces in the country. The attacks have killed large numbers of civilians since the 2001US-led invasion and subsequent occupation of the country. Hundreds of civilians have lost their lives in the US-led airstrikes and ground operations in different parts of the war-ravaged country over the past months. A large number of civilians have fallen victim to the air raids since the 2001 US-led invasion of Afghanistan. The loss of civilian lives at the hand of foreign forces has dramatically increased anti-American sentiments in Afghanistan.